Quite often I find myself meeting other crafty stitch friends around Tokyo. I load up my zip bags with what I need to move forward on the project that day and jump on the train. So ultimately my most needed items bounce from zip bag to zip bag. I finally created a perfect Stitch-in-Public stitch kit, just for me! 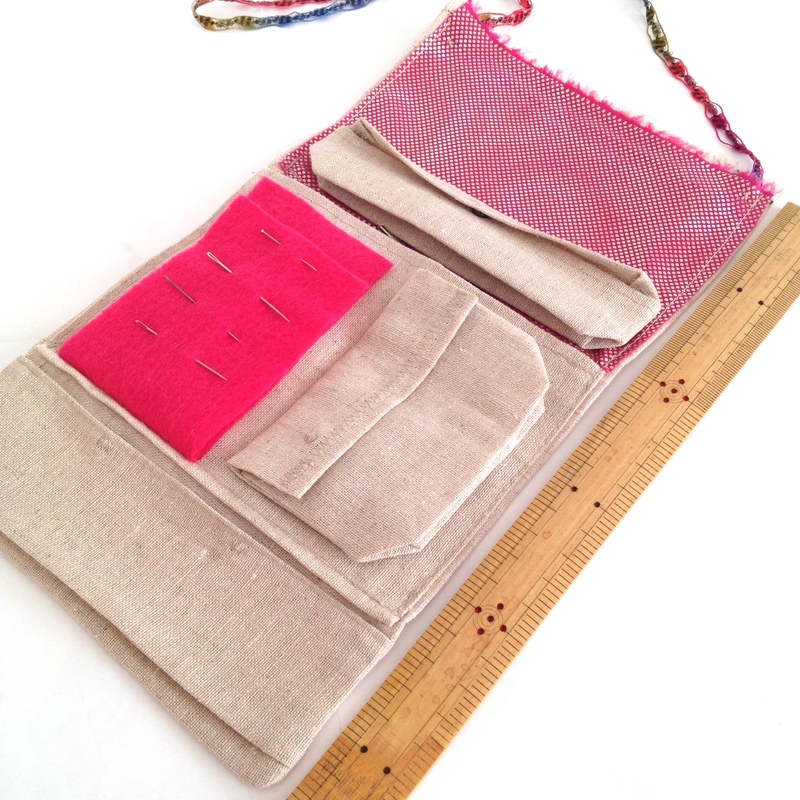 27cm (10.5″) of linen with pleated pockets, hot pink felt and adorable little Japanese U-shaped scissors called, nigiribasami 握りばさみ。 4 separate pockets, 3 of them pleated to hold more and a felt needle book. 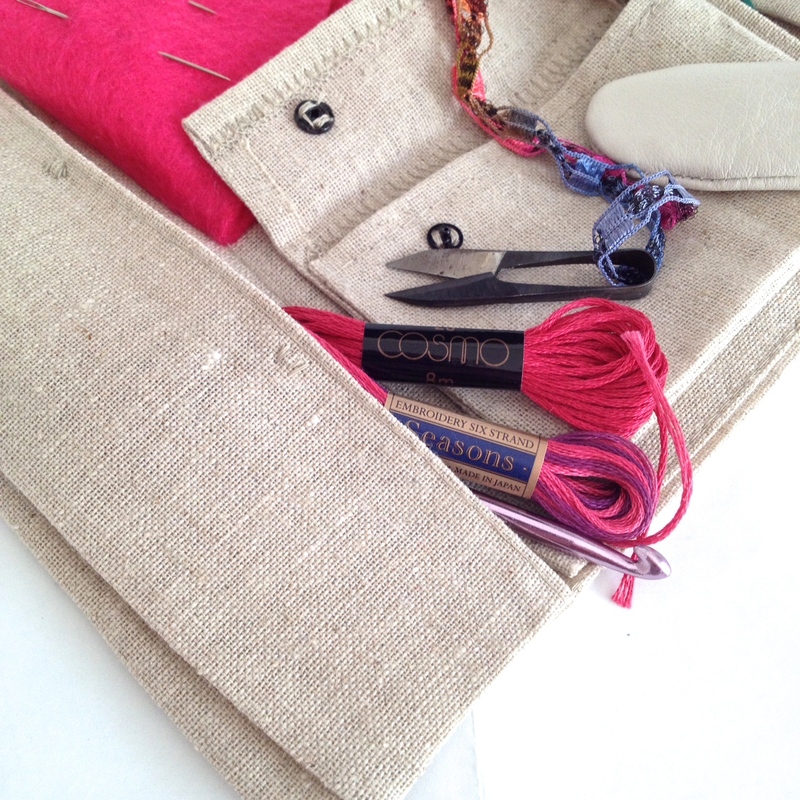 The pleated pocket at the bottom is large enough for crochet hooks, embroidery threads and small spools of thread. 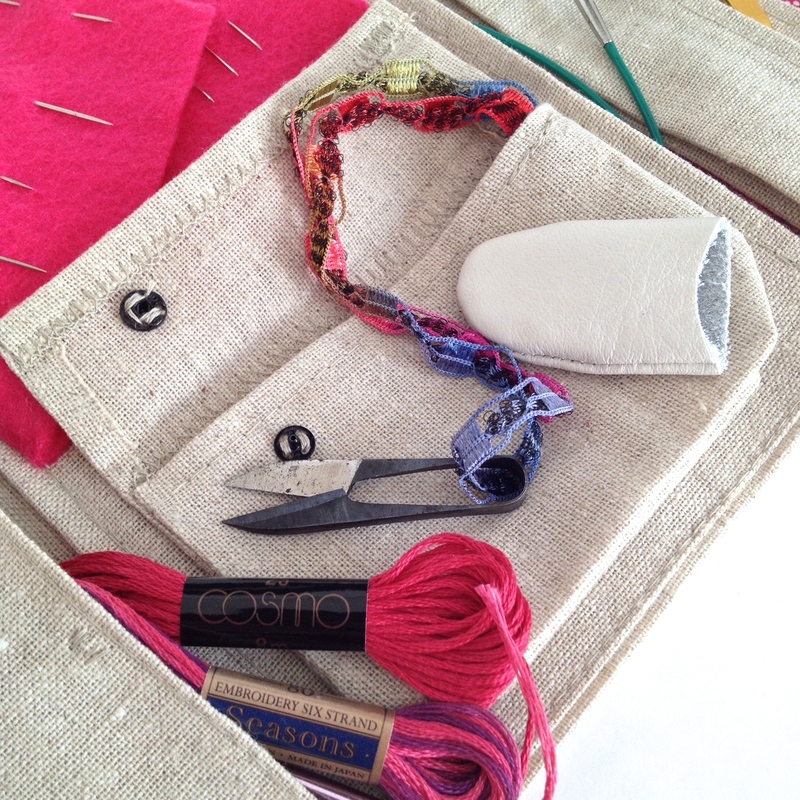 Two little sew-in snap buttons will help keep the contents in place. My lovely friend, Lobin, gave me these squee little nigiribasami, u-shaped scissors that are the perfect size for travel. They have found a lovely home in the leather thimble (Thank You Lori) I am using for bookbinding work. A length of bright coordinating ribbon leash sewn into the pocket edge will help me keep from losing them. Seriously. Hot pink felt really was the only color felt I had in the house. 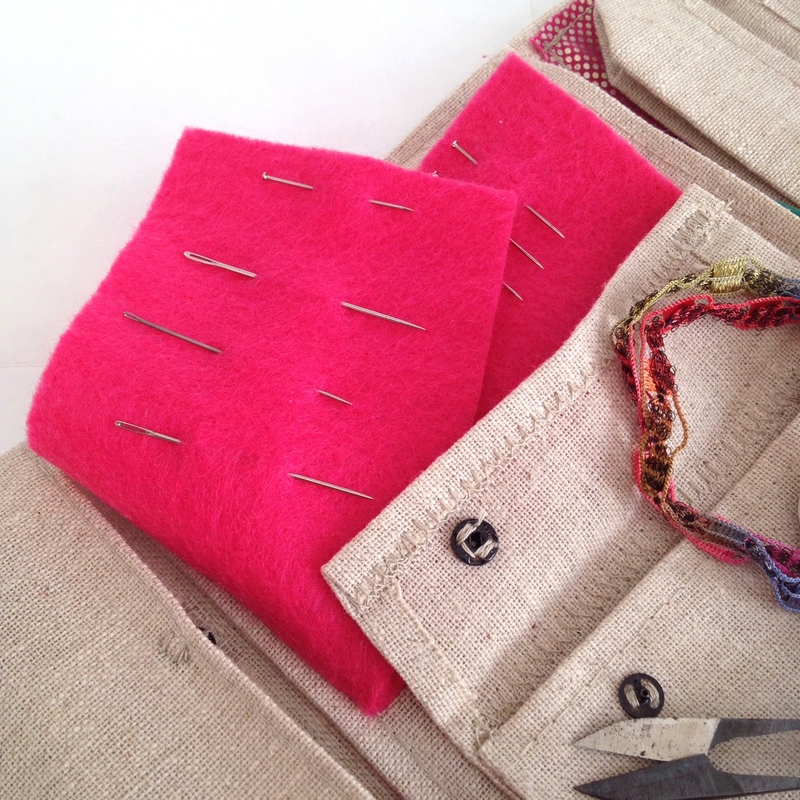 How could I ever have a bad day stitching with a bright hot pink felt. 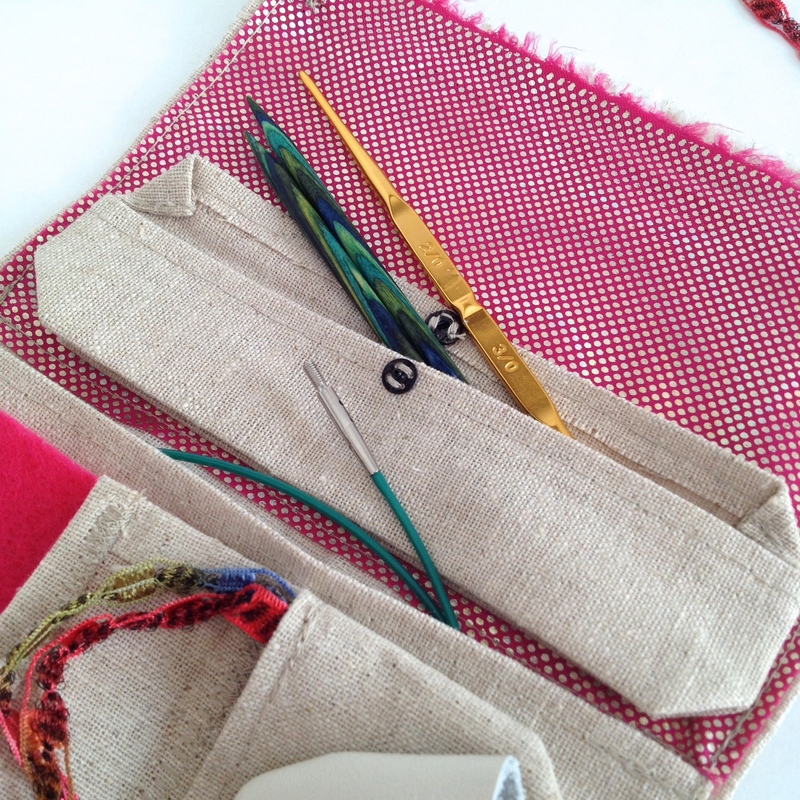 Hidden behind the pleated scissors pocket and the felt needle holder is a slim pocket large enough for interchangeable knitting cables or a page, quarter folded, of a printed pattern. 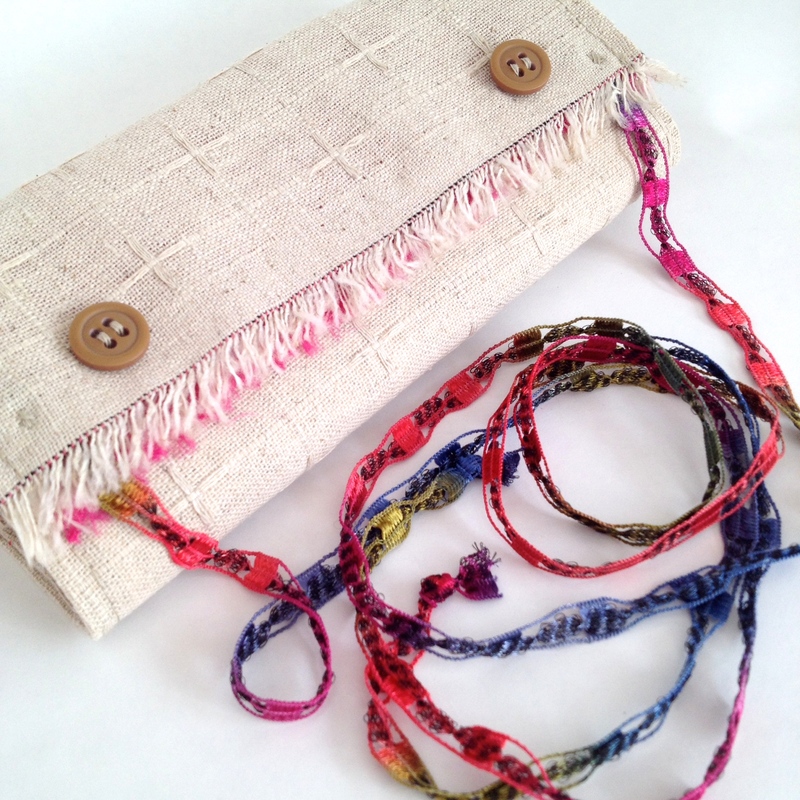 The last linen pleated pocket holds more needles, crochet hooks, threads or little zip bags of buttons or other notions. 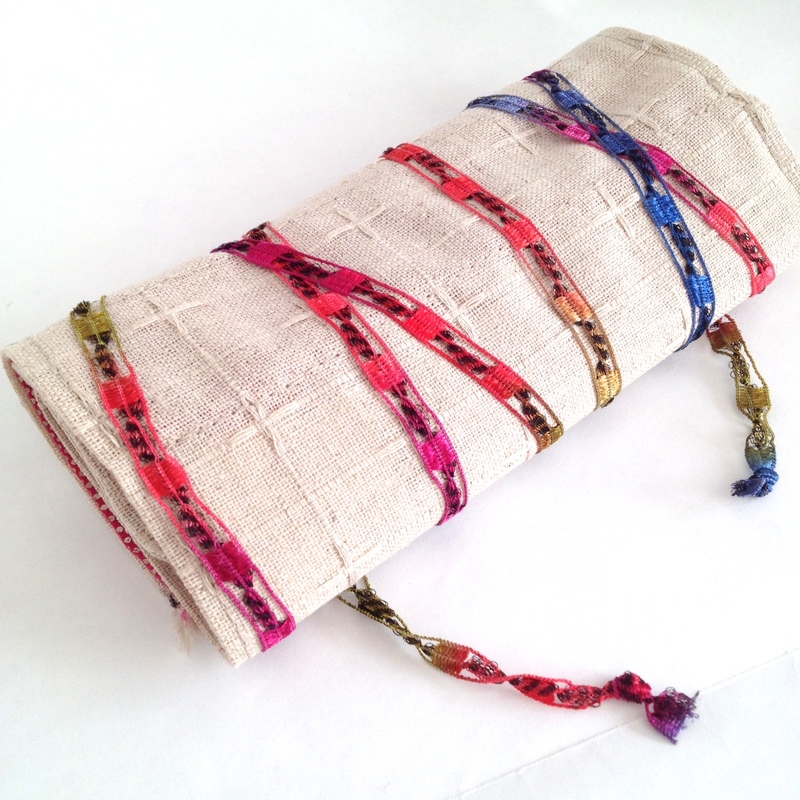 The Stitch-in-Public kit rolls up and is fashioned shut using fun Italian made lace yarn that fits over coordinating buttons at whatever width necessary depending upon how much stitching I hope to accomplish that day.